I was struggling as to what to post for Valentine's Day, as Corey and I are probably one of Britain's most unromantic couples, and I stumbled upon this week's Listography. Perfect, thanks Kate. This is my everyday mug of choice, we have a set of four. The blue is comforting and classic. In a previous life we had a lovely coffee machine and had proper espresso on lazy Sunday mornings. 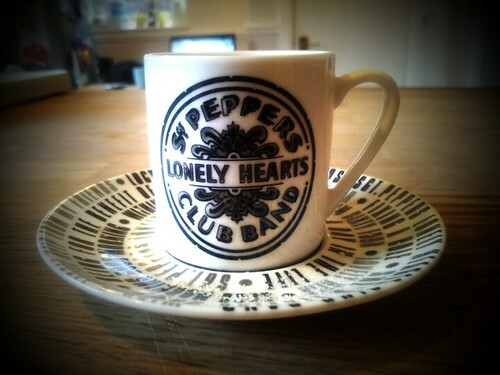 I still have the espresso mugs, cool aren't they? Another TKMaxx find! Slightly cheating, as I've only ever used this for dessert, but isn't it gorgeous? A charity shop find. 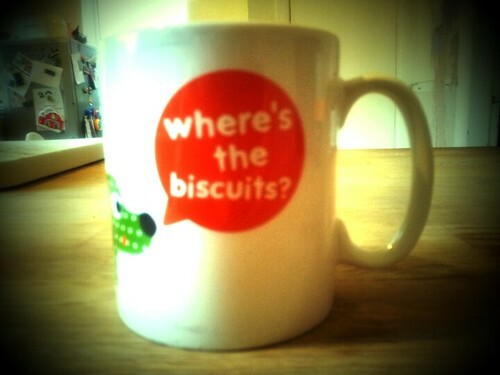 This is my afternoon mug of choice. It came in a giveaway bag at the Baby Show, and is from Cosatto. I love this mug! The dog curls right around the back of the mug. This was the first present I ever bought my husband. We had just got together and I went on a weekend with some girlfriends to Amsterdam, and I saw these and fell in love! And we're still using them 6 years on. 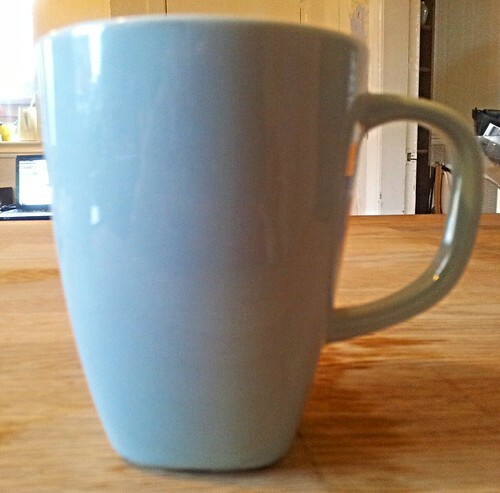 I would say that the blue mug is the perfect colour to relax with while drinking your tea - just perfect. Love all of these. Those expresso mugs are just gorgeous. Good ol' TXMaxx! That expresso mug is GORGEOUS! I need one of those in my cupboard! 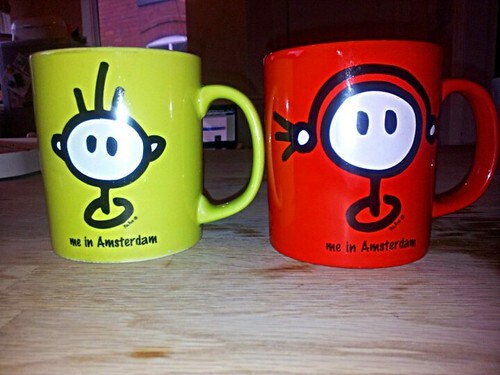 Right, that third mug is a stunner! 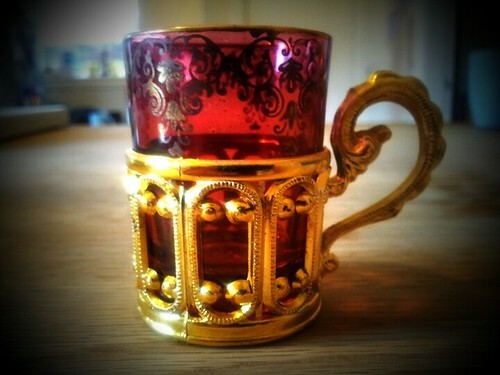 The expresso mug is fab! TK Maxx is often a real treasure trove for homewares isn't it?